How much is Robert Trujillo Worth? Robert Trujillo Net Worth and Salary: Robert Trujillo is a Mexican-American bassist who has a net worth of $30 million. 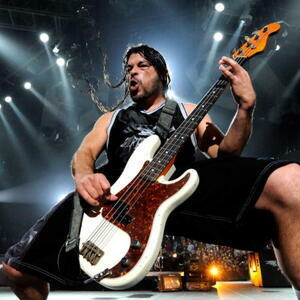 Robert Trujillo was born October 23, 1964 in Santa Monica, California. 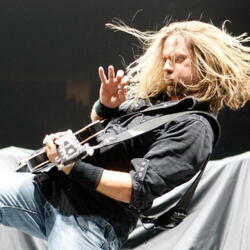 He is best known for his role as the bass player for American heavy metal band Metallica. He first came into prominence as a member of crossover thrash metal band Suicidal Tendencies. He played with funk metal super-group Infectious Grooves, heavy metal band Black Label Societ and also worked with Jerry Cantrell from the rock band Alice in Chains. Trujillo also worked with rocker Ozzy Osbourne during his career. In 2003, Trujillo was seen playing an upright bass in the Nickel Creek music video "Smoothie Song." He did not, however, play bass for the band during the song's recording. Trujillo has also had small roles in television and film, including a non-speaking role in the 1978 Walter Matthau film House Calls and a minor role in the 1980 Gary Coleman made-for-TV film Scout's Honor. He also played a character named "Flippy" in a 1982 episode of the television drama series CHiPs. In 1992, he appeared as himself, along with his Infectious Grooves' band mates, in the hit Brendan Fraser comedy film Encino Man. Trujillo is primarily a finger-style player, but has been known to occasionally use a pick. Trujillo is known for playing massive chords and chord-based harmonics on the bass. 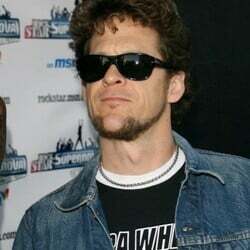 He uses the slap bass technique, that can be seen in his work with Suicidal Tendencies and especially Infectious Grooves. 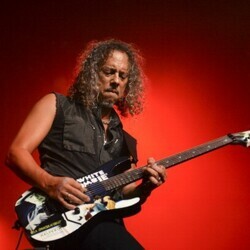 At many of the shows during Metallica's 2004 Madly in Anger World Tour, Trujillo would often play an extended bass solo (dubbed Jungle Essence on recordings) which made extensive use of slap bass technique. For recording purposes, Trujillo uses his own code for writing bass arrangements. Inspired by an article by Pino Palladino, he developed this code during recording sessions for Jerry Cantrell's Degradation Trip which, according to Trujillo, had him working from "little hoodrat demos" with nearly inaudible bass.